Cosmo T. DeNicola, President of Amtech Software, is pleased to announce the sale of Imaginera©, Amtech’s premier software system. Pacific Southwest Container, LLC has acquired Winterborne, Inc., a premier thermoforming, blister pack, and fulfillment center in Chatsworth, California and has implemented Amtech’s Imaginera© platform in their new facility. Amtech Software president, Cosmo DeNicola, is pleased to announce that Philpac Philpac, a sheet plant, foam fabricator, packaging supplies distributor, pallets and crates located in Tonawanda, NY, has implemented Amtech’s Imaginera Software System. Philpac can look forward to utilizing Imaginera to decrease turnaround time for quotes, streamline order entry, save delivery costs and better manage their overall business from order to cash more efficiently. The Imaginera software system from Amtech is comprised of a powerful set of modules that address key components of a packaging plants operations, processes, and procedures. Imaginera provides organizations with the tools necessary for making smart business decisions that positively impact their bottom line. Amtech Software President, Cosmo DeNicola, is pleased to announce that ABC Box Company Inc., a family owned company located in Brookfield, WI, has implemented Amtech’s Imaginera. ABC Box will be starting its 30th year in business and felt the need to upgrade its software to handle the increased work load. ABC Box can look forward to utilizing Imaginera to decrease turnaround time for quotes, streamline order entry, save delivery costs. They will be able to manage their overall business using just this one package instead of 3 different packages that they use now use that do not work together which will make them more efficient and profitable. Comprehensive and flexible, Imaginera allows your business to grow without limits, strengthening every area of your operation from financial applications to plan management and customer service. Amtech keeps its customers ahead of the marketplace with new releases and modules that take into account global trends and the evolving mobile technology landscape. 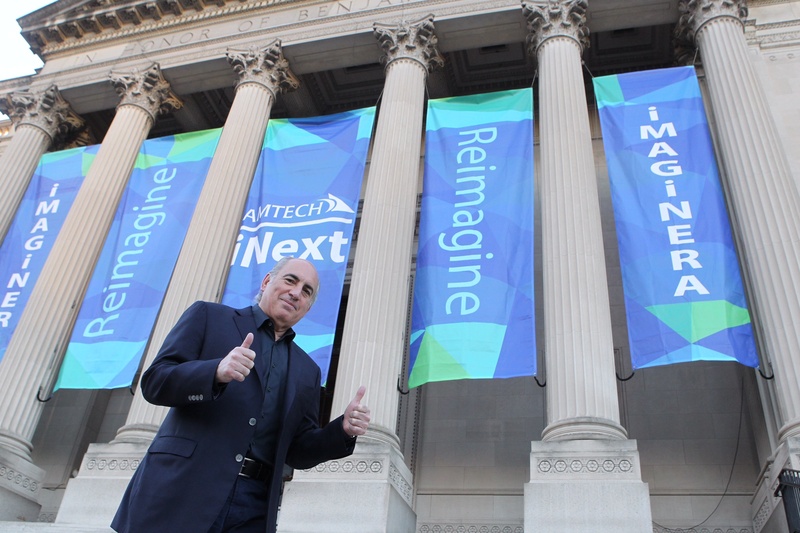 Amtech’s twice yearly Customer User group meeting in Philadelphia was the site of Amtech presentation of its next generation of software to its customers. Close to 200 guests joined in the post meeting celebration at the Franklin Institute named in honor of America’s earliest and greatest innovator Benjamin Franklin. The user Group meeting had its typical agenda of customer steering committees leading the way in working closely with Amtech to define future software enhancements to address the ever changing needs of the packaging industry. In addition there were education opportunities and one on one sessions for client Solution consulting. 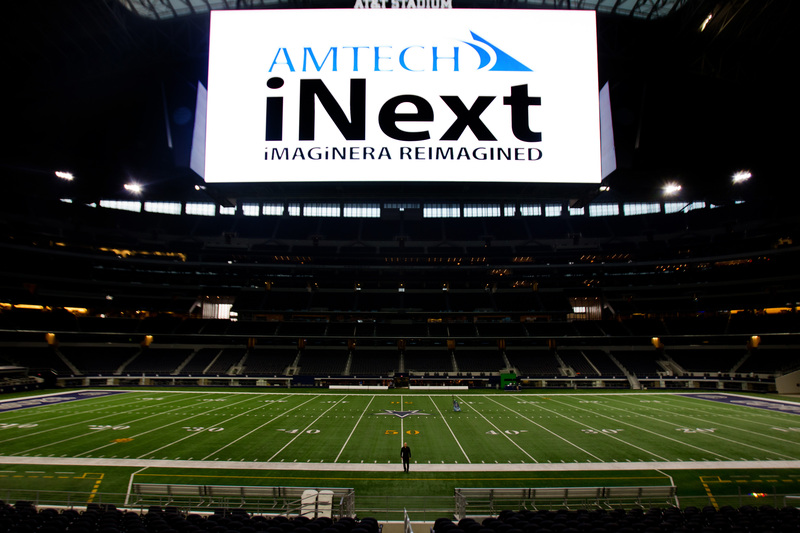 More than 100 box makers, suppliers and guests attended Fort Washington, Pennsylvania based Amtech Software’s launch of iNext, the next- generation of Amtech’s Imaginera System, at AT&T Dallas Cowboy Stadium in Arlington, Texas, on Tuesday, September 29, during the 2015 AICC Annual Meeting in Fort Worth, Texas. Fort Washington, PA: Cosmo DeNicola, President of Amtech Software, is hosting a party at the AT&T Stadium in Dallas, TX, the official home of the Dallas Cowboys. The event will take place on September 29th from 7-10 PM to launch Amtech’s next generation software, iNext. The celebration coincides with the AICC 2015 Annual Meeting & the 2015 Independent Packaging Design Competition that will take place in Fort Worth, TX on September 28th through September 30th. All AICC boxmakers, leadership, and influencers are encouraged to attend the party, to preview iNext and enjoy the celebration. Port Washington, Pennsylvania based Amtech Software reported that Dearborn, Michigan based Aabco Container Corporation has invested in Amtech’s Imaginera, the company’s highly integrated, Windows-based software solution for the box industry. Included modules cover all aspects of Customer Service, Production, and Sales. High level analysis is provided to evaluate sales, profitability and job cost. Aabco will be able to enjoy efficient scheduling through Amtech’s Smart Plan modules, keeping deliveries on time. Easy-to-use report writers will permit total flexibility in customizing reports and forms. According to Amtech, companies using Imaginera are able to decrease turn around time for quotes, streamline order entry, save delivery costs and manage their overall business more efficiently. Amtech Software announces that Pacific Southwest Container, one of the West Coast’s largest packaging companies, has installed Retrieve, the integrated document management solution for Amtech’s Imaginera system. “We chose Retrieve after evaluating several different document management solutions,” said Charles Morgan, Director of IT for Pacific South West Container (PSC). Amtech Software president, Cosmo DeNicola, is pleased to announce that Chicago-based custom corrugated manufacturer, JaMar Packaging, has implemented Amtech’s Imaginera Software System. JaMar Packaging can look forward to utilizing Imaginera to decrease turnaround time for quotes, streamline order entry, save delivery costs and manage their overall business from order to cash more efficiently and profitability.